With the turn of the decade drawing near, the market growth of mobile gaming has reached peaks it has never seen before. With consumer interests being slowly shifted to a virtual platform, the combination of a mobile smart device and quick and addictive entertainment has taken the world economy by storm. With the advent of the iPhone and iPod series a decade ago; mobile gaming sensations such as "Angry Birds" have become a worldwide multimillion dollar hit. The impact of such success has spurned a vast growth in the mobile gaming market as the platform of mobile smart devices became much more accessible and affordable to middle class families. In contrast console and PC gaming have lagged behind in terms of market growth. Although still a popular medium of entertainment, it remains less accessible and less affordable to most families. 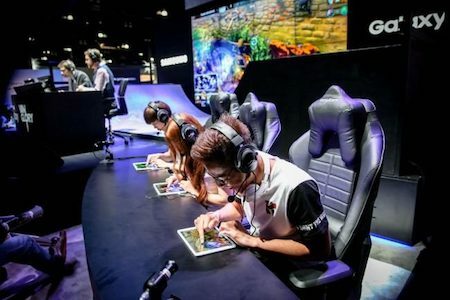 In Today's market the largest growth in mobile gaming is actually seen in China as the world's largest multimedia conglomerate, Tencent, leads the race; investing heavily in its mobile market.